Awesome week and finally made it to Back Alley in addition to yoga and walking. Feeling excellent! I’m attending the 101 classes twice a week. This is allowing me to ease back into it and minimize any scaling. I’m also still wearing my heart rate monitor to now gauge my capabilities without a baby. 1. CrossFit is the best way to start shedding that baby weight. Shouldn’t come as a surprise, I know, but after just two days, I can see and feel a difference. 2. The minute you don’t have clothing back-up, the baby will have a blow-out. Thanks little miss for christening my come back to the box with a blow-out mid-WOD. Glad you’re comfortable in just a diaper! 3. That being said, less really is more! All of the sudden my car is full of stuff – bags of returns, swimming gear, workout gear, library books, a stroller, dog gear – and our baby is only three months! We love the Skip Hop pronto changing station. We now have three because they are totally genius. I keep mine stocked with diapers, wipes, hand sanitizer, Advil, first aid kit, extra outfit. When out and about, I can easily just grab it to change her – in the car, in a random bathroom, at the box, etc. We have three because we keep one in each car and one with the stroller. 4. Drive-throughs are a mom’s best friend (and I don’t mean the McDonalds!). Thanks Starbucks for keeping me caffeinated and hydrated while I keep my baby sleeping in the back seat. I’m sure it’s old news by now, but love that CrossFit HQ is finally giving some attention to all the awesome women out there who CrossFit while pregnant. Be sure to watch the latest video, if you haven’t already. 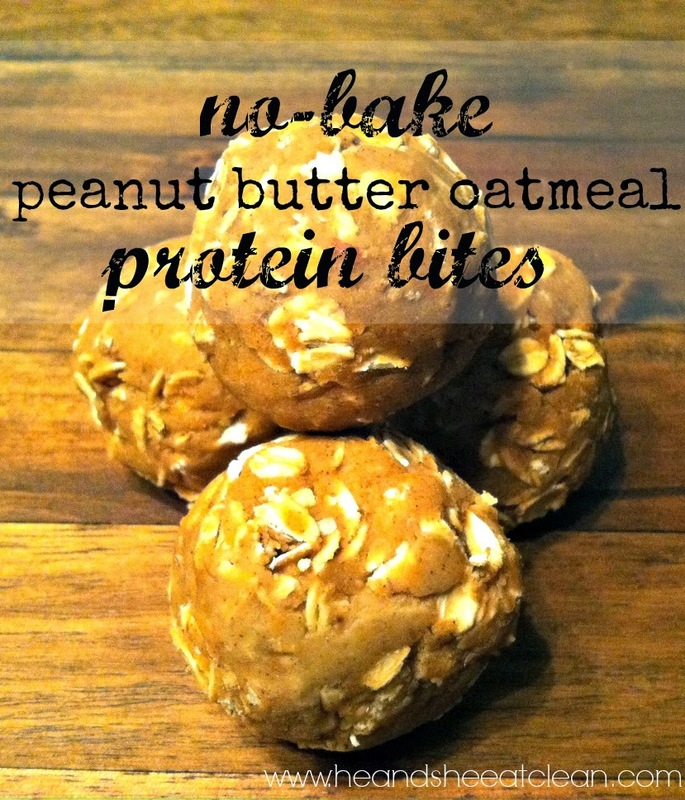 For a quick snack pre- or post-WOD, I recently made these no bake protein bites from HeandSheEatClean. Super simple to make and who can beat the no bake part?! I also made mine lactation friendly by adding in a tablespooon of brewer’s yeast. You can easily sub the peanut butter for almond butter for a more paleo-friendly option. YUM! 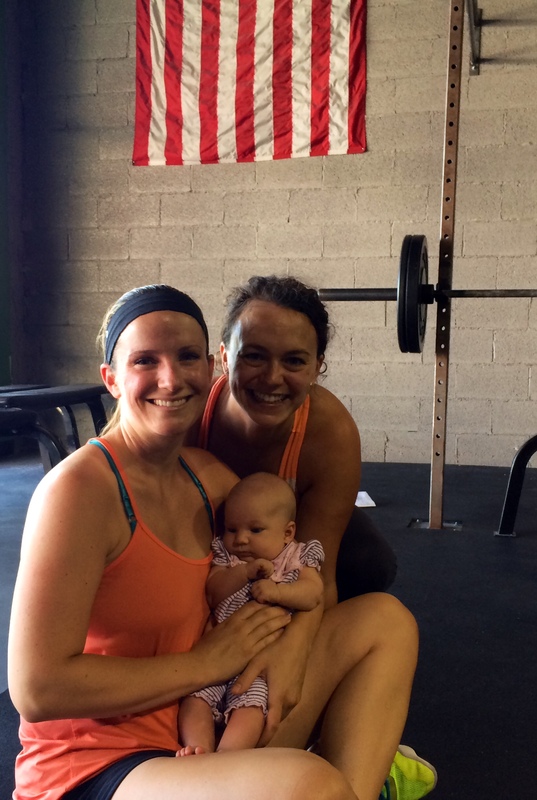 And we have been meeting the newest CrossFit babies! 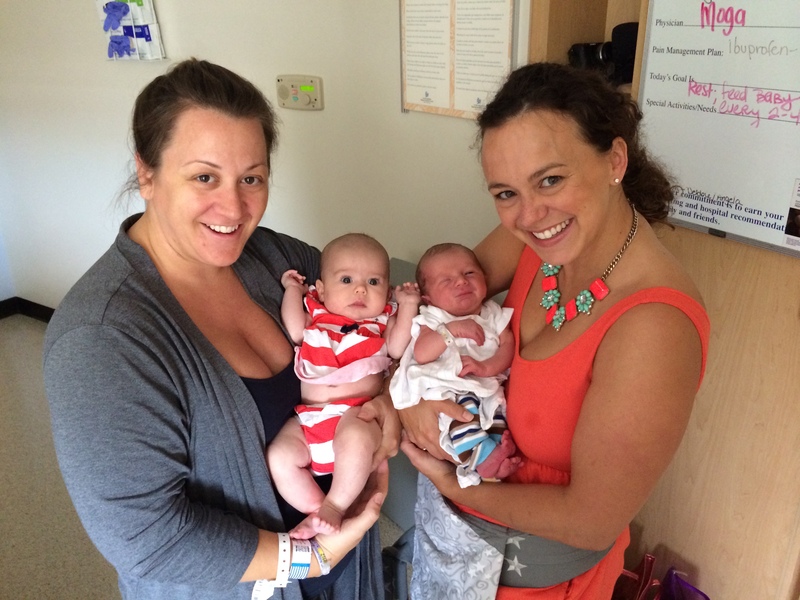 Both Katie and Sara delivered healthy, precious babes. Aren’t they darling? Meeting Baby Hillman at the hospital. Posted on August 11, 2014 by crossfitpregs. This entry was posted in CrossFit and tagged babies, breastfeeding, Clean eating, crossfit baby, CrossFit Mom, CrossFitandPregnant, CrossFitting, Exercise Pregnancy, Fit Pregnancy, Heart rate, paleo, postpartum exercise, pregnant, WOD, yoga. Bookmark the permalink. Thank you for posting this video. I’m currently 15 weeks and still continue to crossfit but I’ve really scaled my weights back by a whole lot and working my way up again. People in Malaysia ( where I’m from) still frown upon exercising while pregnant because they’re still very traditional and believe that pregnant women should be resting and not lift heavy things. I love your blog! You’re definitely an inspiration! Thanks Natasha. Do what makes you feel good and listen to your body. This is your pregnancy.